Jesse has appeared on many local and national radio programs to talk about education, race, politics, and Haiti. His appearances include Democracy Now!, KUOW, Left Jab Radio, Chalkface Radio, BAM! Radio, the Dave Ross Show, and many others. Our favorite no-B.S., uber-journalist and all-round hellraiser Matt Taibbi is back in the ring to describe the Empire’s newest clothes! 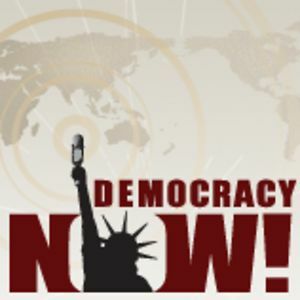 Plus, Progressive Magazine editor Matt Rothschild returns to weigh in on President Obama’s Progressivism (or lack thereof), and Seattle public high school teacher and founding member of Social Equality Educators, Jesse Hagopian, goes a round against standardized tests. What Does Progressive Education Look Like In Seattle Classrooms? 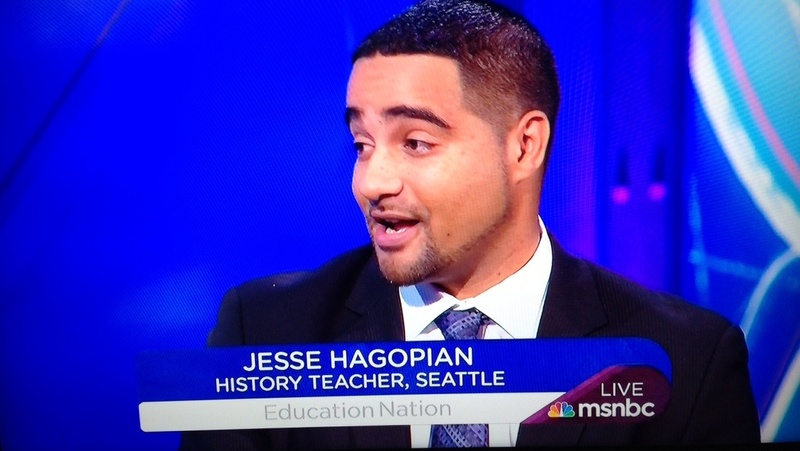 Marcie Sillman talks with co-founder of Social Equality Educators and high school teacher, Jesse Hagopian, about his goals for Seattle classrooms. Rae Pica with Jesse Hagopian, Celine Coggins, Patrick Riccards. The national discussion of standardized testing was ratcheted up a notch when five schools in Seattle voted to boycott a standard test. In this segment we interview one of the leaders of the boycott and get some views on what impact, if any, this strategy will likely have on the practice of testing. Jesse Hagopian, James Krieg and Mark DeSalvo are all Seattle area residents who have just returned from Haiti. They’ve seen firsthand the catastrophic destruction from the recent earthquake and they’re all involved in ways to help the many victims. Show: Local teacher Jesse Hagopian on his return from Haiti. Jesse was taking care of his infant son during his wife’s business trip when the earthquake hit. The couple soon became impromptu medics, providing care to injured Haitians amidst the chaos in the first days following the quake. This week Wael and Will talk with Seattle school teacher and social justice activist, Jesse Hagopian, about the Interfaith Peace Builders African Heritage delegation visit to Palestine-Israel. Today, 1/13/13, we’re starting an hour early and first talking to Dr. Mercedes Schneider, a Louisiana educator who demolishes the state’s school evaluation data. Then, we’ll discuss the test boycott at Garfield HS in Seattle, WA. Join US!